Working with a local business, as opposed to a large corporation, can truly change your customer experience. There’s no 800 number, you aren’t talking to some nameless person in another state who doesn’t particularly care about what you need. 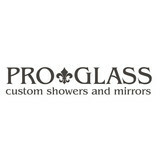 Proglass is part of the community. Charlie Kramer has been doing glass his entire career- design, specification and installation. As the owner of the company, he is the first point of contact for every client. Understanding what the customer wants, making time to answer questions and offer advice, is the best way to make sure the job will be done right. Proglass is fully-bonded and insured and we are committed to making your project our most important job. We look forward to working with you! Welcome to New Image Improvements. We specialize in glass shower enclosures, windows, IGU replacement, mirrors, table tops, glass, small construction and landscaping projects. 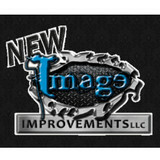 Our company does custom work and a wide variety of home improvements. We are reliable and experienced. Call or email today for a free estimate. City Mirror & Glass Inc.
We are a custom glass and mirror shop located in Cary, NC. With 20+ years of experience, you can trust our focus is on providing excellent craftsmanship and a quality product! 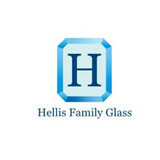 We appreciate the opportunity to assist you with all your glass needs. We have been supplying glass and glass repair services for the past 16 years, whether a residential customer, homeowner, renter, etc., or a commercial customer, apartment complex, or business owner. 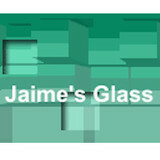 Jaime, our president and owner, has 29 years experience in the glass field. Absolute Glass, Inc. is a full-service commercial and residential glass company that relies on more than 14 years of experience in the glass industry and offers competitive rates. We strive to provide the highest-quality service to all our customers in a friendly manner. You can also count on us for affordable rates no matter how big or small your project may be. Our commercial glass company is known for experience, affordable pricing, and friendly service. We are proud of our workmanship and eagerness to please our clients. What can a local Durham glass company help me with? If it’s a major home glass repair or replacement, the Durham glass company should work directly with your insurance company to help bring down costs for you, if applicable. Find Durham glass companies on Houzz. Narrow your search in the Professionals section of the website to local glass, mirror and shower door services in Durham, NC and read reviews and ratings to find one that fits your needs.